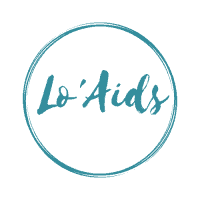 Welcome to LoAids.com. By using one of our websites (“Site”), you are agreeing to comply with and be bound by the following terms and conditions of use, which together with our Privacy Notice govern the relationship between you and LoAids (“loaids”), provider of the Site, in your use of the Site. The terms “Provider” or “us” or “we” refer to the owner of the Site, LoAids. The term “you” refers to the user or viewer of our Site. Loaids does not guarantee web search rankings. LoAids’s recommendations, content, and consulting services are intended to improve your search rankings organically. LoAids does not offer backlinks for your website. Always comply with relevant guidelines from search engine providers when making efforts to improve search engine rankings. In general, you should avoid practices considered deceptive or abusive, including but not limited to keyword stuffing, cloaking, sneaky redirects, misleading markup, duplicate content, doorway pages, buying links, or spamming social network sites.